Curses. I froze, still holding my pack slung across my shoulder. I might be my family’s best chance of salvation, but there was no expecting either of my older sisters to understand that. If they’d trusted me in the first place, I wouldn’t have had to run away in the middle of the night, like a criminal. “I’m going to tell Papa!” Elissa hissed. Behind her, I heard groggy, incoherent moans of outrage—my other sister, Angeline, waking up. I gritted my teeth together as I turned and trudged back toward the vicarage. I groaned and closed the door behind me. Like it or not, I was home. I squeezed through the narrow kitchen and tiptoed up the rickety staircase that led to the second floor. When I was a little girl and Mama’s influence still lingered in the house, each of the stairs had whispered my name as I stepped onto them, and they never let me trip. Now, the only sound they made was the telltale creak of straining wood. The door to Papa and Stepmama’s room swung open as I reached the head of the first flight of stairs, and I stopped, resigned. I glanced down at the boy’s breeches, shirt, and coat that I wore. “I was too cold for a nightgown,” I said. I leaped toward the ladder that led up to the attic where I slept. No such luck. The door to my sisters’ room jerked open. “Come in here now!” Elissa said. I couldn’t make out her features in the darkness, but I could tell that she had her arms crossed. “‘Ladies don’t cross their arms like common fishwives,’” I whispered, quoting one of Elissa’s own favorite maxims as I stalked past her into their room. Elissa slammed the door behind her. Angeline was already lighting a candle. When the tinder finally caught and the candle lit, the sound of my sisters’ gasps filled the room. I crossed my arms over my chest and glared right back at them. “You—you—” Elissa couldn’t even speak. She collapsed onto her side of the bed, gasping and pressing one slender hand to her heart. “No,” I said. “I wouldn’t.” I lifted my chin, fighting for height. I was shorter than either of my sisters, a curse in situations like this. “Shut up!” I lunged for her straight across the room. Their bed was in the way. I hit my knees on it, then flung aside my sack and crawled across the bed to get to her. Angeline’s taunting laughter made my vision blur with rage. I landed on her, punching blindly, and kept on fighting even after she’d shoved me down onto the bed and wrapped her arm around my neck, half strangling me. Something heavy hit the other side of the wall: Charles signifying his displeasure. Across the stairwell, a door opened. Footsteps approached. A firm knock sounded on the door. We all froze. We knew that knock. “You’ve done it now, haven’t you?” Angeline whispered into my ear. “What’s happening in there?” our stepmother demanded, through the door. Angeline blew the candle out and threw herself back into bed, pulling the covers up to her chin. I huddled on the cold floor in the darkness while Elissa opened the door. “All that screaming …” Stepmama’s voice drew nearer. I could imagine what was happening, even though I couldn’t see it: She was poking her sharp nose into the room, peering around in hopes of mischief. It was her never-ending quest: to prove to Papa how incorrigible we all were. Just like our mother had been. “Angeline had a terrible nightmare,” Elissa said, and I was amazed by how well my saintly sister could lie when she was properly motivated. “Perhaps I should come in and look things over,” Stepmama said. The door closed, and her footsteps moved away. I stayed frozen until her bedroom door had opened and closed again on the other side of the stairwell. As I finally moved, my hand slipped on the wooden floor and slid across two familiar, oddly shaped books hidden just beneath the bed. I knew those books. They weren’t supposed to be here. They were supposed to be locked away with the rest of our mother’s keepsakes, where Papa and Stepmama hoped we would all forget that they had ever existed. Just like Mama herself. I started to pick them up, then stopped. Now wasn’t the time to ask either of my sisters provocative questions. “I’m not a thief,” I muttered. I gritted my teeth and stood silent under her grasp. “Me?” Elissa stared at me. “If you’re trying to fool us with one of your wild stories—,” Angeline began. “But—” My voice came out muffled against her nightgown. “I have skills!” I said. “The danger she would have walked straight into, without even thinking twice,” Angeline corrected her. The three of us sat for a moment in depressed silence, acknowledging the truth of that. “And keep our brother from being sent to debtors’ prison,” Angeline said evenly. “If Charles goes to debtors’ prison, we will all be ruined,” Elissa said. “None of us would ever receive an eligible offer of marriage after that. You know our family is already considered … well …” She bit her lip. “Never mind that.” Angeline put one hand on Elissa’s knotted fingers, and for a moment I felt completely shut out as they looked at each other with sympathetic understanding. “I hope so,” said Elissa. Ha. At least that gave me one clue. Perhaps Angeline and Elissa wanted to play at keeping more secrets from me, but I would wager anything that there was one secret Angeline hadn’t dared to share with our sweet, proper oldest sister. I’d recognized the books hidden underneath Angeline’s side of the bed. They were Mama’s old magic books. Now all I had to do was figure out what Angeline was planning to do with them. If my plan had worked, I would have woken up the next morning in a stagecoach heading toward London, with a whole new life waiting to unfold before me. I would have breakfasted on apples and cheese with the passengers around me, heard all their stories, and been halfway adopted as an honorary nephew into all their families by the time we reached London. Instead, I had to face my own family. I walked into the breakfast room at eight o’clock, and Stepmama’s jaw fell wide open, exposing a mouthful of mashed toast. I dipped a curtsy to Papa and made my way to the sideboard, where bread and jam and kippers were laid out. “I like it,” I said. I did, too, especially now that Elissa had straightened out the crooked edges. After one morning without the bother of hairpins, I was ready to keep my hair short for life. “Shocking indeed,” Angeline murmured, and winked at me. You might have thought, if you didn’t know my sisters, that I could have just asked Angeline straight out about Mama’s magic books. But I knew better. If Angeline even suspected that I knew about the books, she would find them a new and better hiding place before I could even get the question out of my mouth. Then she’d devise one of her diabolically cunning punishments for my nosiness, and that was the last thing I wanted. No, I’d have to work the mystery out for myself. Luckily, Stepmama took Elissa and Angeline out directly after breakfast to shop for fabric for new gowns—to impress Sir Neville, I supposed. There was only enough room in the gig for two people to travel with her to the fabric shop in the village, and no one asked if I wanted to be one of them. They knew better. As soon as the gig rattled out of sight, I hurtled upstairs, hiking up my skirts and taking the creaking old steps two at a time. Charles let out a groggy roar from his room at the noise, but I ignored him. I headed straight for Angeline and Elissa’s bedroom. They ought to be gone for at least two hours. But if anything went wrong … I imagined Angeline’s expression if she caught me reading the books. I shuddered. I would have to hurry. I darted into the room and over the bed to Angeline’s side. When I passed my hand underneath, all I felt was the bare wooden floor. Where had they gone? I lay down to peer under the bed. Aha. She’d only pushed the books deeper in. I wriggled underneath, choking on dust, and emerged a moment later, holding them both. Victory! If Angeline saw me, she would know exactly what I had been up to. Curse her! Had she planned it this way? No, surely not—even Angeline couldn’t be that devious. But still, whether she’d planned this warning system or not, I knew I’d just lost half an hour from my reading time. First I’d have to put the books back exactly where I’d found them. Then I’d have to change my gown and wash the telltale dust from this one, all before the others came home from their shopping trip. I gritted my teeth and ran out of the room before I could lose any more time. I didn’t go to my own windowless attic room. That wouldn’t be nearly safe enough. Instead I hurried back downstairs and out the back door, heading for my favorite lookout spot—the old oak tree behind the vicarage, overlooking the graveyard. From my perch in the tree, I’d be able to spot Stepmama’s gig from half a mile off as it came circling back up the winding road from the village. I clambered up the wide, knobbly trunk and settled comfortably into the crook of one of the big central branches. My legs dangled in the air, and I kicked off my shoes, letting them fall to the grass. Through the ground-floor window of the vicarage, I could see Papa reading one of his hundreds of old books. A fresh breeze ruffled the leaves of the oak tree and set the yew trees in the graveyard to swaying gently. The road beyond was empty beneath the bright blue summer sky. I adjusted my shoulders against the rough bark of the tree trunk and opened the first book. A Diary of Magick, I read, in looping purple handwriting. Olivia Amberson’s Own Book. Amberson had been Mama’s maiden name. That was one of the only things I knew about my mother. She’d died ten days after I was born, and a nursemaid raised me for the first few years, until my sisters were old enough to take over. I would have been more grateful to them if it hadn’t left them so smugly convinced, no matter how old I grew, that I was still a mere child. Papa never talked about Mama. It wasn’t until he’d married Stepmama, though, that I’d realized Mama had been a disgrace. It was the first time I’d ever felt close to her memory. I was always in trouble, too. Stepmama always said that it was a great trial to be the wife of a clergyman, especially one with such a poor income as Papa. She only hated it for the lack of money, though, which meant the lack of fashionable clothing, London townhouses, and scandalous gossip at close hand. It must have been even harder for Mama to be a clergyman’s wife, since she was a witch. Elissa wouldn’t talk about Mama anymore—she had been seven years old when Mama died, but the memories still made her too melancholy, she said. Angeline told me once, though, about the disaster that happened when Papa’s patron, Squire Briggs, was invited to tea at the vicarage, two months before I was born. Angeline was only five at the time, but she said she had never forgotten it. “The teapot just rose up in the air all on its own and poured for everyone while she talked. You should have seen Squire Briggs’s face! He turned purple and started to choke. And Mama still didn’t realize …” Angeline bit her lip, holding back a laugh. She was meant to be tutoring me in French, as a punishment for both of us, so we couldn’t let Stepmama hear us giggling together. I shivered in the oak tree now, remembering Angeline’s story as I looked at my mother’s lovely, looping hand-writing. There used to be a miniature portrait of Mama in the sitting room, when I was a little girl, but Stepmama had locked it away with the rest of Mama’s things, magical or otherwise, in a cabinet none of us were allowed to open. There’s no use in reminding the neighbors of old problems, she’d said. She had already cut down all of Mama’s roses from the back garden by then; they were a scandal too. Apparently, roses weren’t supposed to be able to bloom red all year long. But I had loved them anyway. My sisters used to take me out to sit underneath the oak tree on fine days when I was little, and the rich, sweet fragrance of the roses had filled the air with magic. I hadn’t remembered Mama’s roses for a long time. I took a deep breath and turned the page. I have decided to begin as I mean to go on, no matter how Ominous the Dangers, my mother had written. Tho’ it must be kept Secret from my closest companions and even my own Colleagues, I cannot let Ignorance, Prejudice, or Pride hold me back any longer from exercising all the Talents I have been given. I shall teach myself first how to enchant Inanimate Objects. Well, I understood why she’d meant to keep her witchcraft a secret—if it hadn’t been for the fact that she’d married a clergyman, she would have been completely cast out of Society for it, and as it was, she had still caused a scandal. Marrying her had ruined Papa’s career. But that was because she hadn’t kept the magic a secret after all. From all the stories I’d heard, she hadn’t even tried very hard. Surely someone who really wanted to keep her witchcraft secret wouldn’t have blatantly enchanted the roses in her garden, would she? And what on earth had she meant by “Colleagues”? Mama’s family might not have been wealthy, but she had definitely been a lady—and ladies, as Elissa was always ready to remind me, did not work for a living, no matter how dire their circumstances. I let out a long breath and turned the page. I didn’t have time to waste worrying about any of that, no matter how tempting it might be. I was after my sister’s secrets right now, not my mother’s—and enchanting inanimate objects, like Mama’s self-pouring teapot, wouldn’t get Angeline her dowry. I skipped through the pages of Mama’s first failures and final successes, as she experimented with creating her own spells. She’d learned more and more difficult tricks as she’d progressed, but nothing practical like turning copper to gold. Half of Mama’s spells were meant to make herself look prettier or to make her twice-turned, hand-me-down gowns look new. I even found a love spell—and next to it, circled and surrounded by tiny hearts, a name: George. My father’s name. I flicked quickly past that page, feeling my cheeks heat up. It had been at least an hour since I had begun to read, and the sun had risen high in the sky above me. I couldn’t see the gig in the distance yet, but I knew I didn’t have much time left. I flipped faster and faster through the pages. I was concentrating so hard, I didn’t even notice the footsteps coming toward me from the graveyard. The first I knew of it was when my stockinged feet, swinging in the air, brushed right against a man’s beaver hat and knocked it to the grass. I almost fell off my branch in surprise. Both of Mama’s diaries dropped from my hands, six feet down onto the grass, next to a moving pair of dirt-covered Hessian boots. My gaze went up past the boots, up mud-spattered pantaloons and a dark blue coat that looked like it had once been expensive, before it had all been covered in dirt. The man who wore the clothes—and the dirt—was a complete stranger. “Who are you?” I asked. The words blurted themselves out of my mouth. If Angeline had been there, she would have said something smooth and courteous and subtly amused in greeting. If Elissa had been there, she would have been too proper to speak to a strange gentleman at all without a proper introduction. Then again, neither of my sisters would have been caught off guard in the first place by sitting in a tree without her shoes on. The man underneath me had kept walking forward even after I kicked his hat off. He hadn’t even paused to look up at me, or to pick up his hat. But when I spoke, he stopped walking and shook himself as if he were shaking off a cloud of gnats. “I am Frederick Carlyle,” he said in a strange, flat voice. He was still looking straight ahead at the vicarage, so I couldn’t see his face, only the back of his dark blond hair. He was dressed like a gentleman, but from the look of his hair—not to mention the state of his clothing—it had been some time since he’d seen a valet, or a comb. “Here to study with Miss Angeline Stephenson’s father,” he said. “Ah … good?” I slid down off the tree. It was awkward, since I couldn’t let my skirts ride up in front of him. I landed hard on a sharp stone, stumbled, and barely missed stepping on Mama’s books. I snatched them up and tried to flatten the crumpled pages with one hand. Later I would probably panic about the damage, but right now I was too curious to feel scared. “How do you know Angeline?” I asked the back of the gentleman’s head. “No!” I said. “Of course not. I’m just Kat.” I stared at him. He was young—about the same age as Charles, I thought, so probably no more than twenty. Handsome, too, I supposed, if he hadn’t looked so vacant. I frowned, looking at his blank blue eyes. Maybe “vacant” wasn’t the right word, after all. Maybe “entranced” would be more accurate. Something about that started an ominous tugging in the back of my mind. Entranced … But before I could think it through, I heard a rattling sound behind me and something worse—familiar voices floating through the still air. I spun around. I had been the one too entranced to think straight. I hadn’t been keeping my lookout. Stepmama’s gig was on the road just beneath us, less than two minutes’ drive away. Even as I watched, it turned onto the final curve. The full implications hit me with a thud. I stared down at the books in my hands. Half the pages had been bent in the fall, and the whole middle section of the first diary was crumpled. Even if I put both books back exactly where I’d found them, Angeline would never be fooled. She would know the moment she opened them exactly what had happened. “Is Miss Angeline in that gig?” he asked hopefully. I threw myself in front of him to hold him back. He walked straight into my raised arm, heading for the hedge around our garden that overlooked the road, a full fifteen feet below. Oh. Suddenly it all clicked into place. Mama’s magic books tingled in my hands as I regarded them with newfound respect. “Miss Angeline Stephenson,” Frederick Carlyle murmured. He sounded like a bleating calf being led to the slaughter, but a blissful smile curved his lips. Now I knew why he had seemed entranced. I couldn’t hide the books from Angeline, or keep her from finding out that I’d looked at them. But I had something better than secrecy now. I had the perfect opportunity for blackmail. 1. How do the sisters’ personalities differ from one another? What dominant characteristics does each sister possess? How do the sisters help one another based on their strengths and weaknesses? 2. Why does the Stephenson family have such a close bond, even with Charles, who almost ruins the family with his gambling? What role does their father play in the family? 3. Kat and Angeline are both concerned that Elissa will find out they are dabbling in magic. Why is Elissa adamantly against magic? What role does their mother play in Elissa’s attitude? 4. Why is Stepmama so insistent that the girls behave appropriately? What is she ashamed of, and what does this say about her priorities? Why is she willing to marry them off to someone for money instead of love? How does Stepmama’s outlook change by the end of the book? 5. What is the difference between being a Guardian and being a Witch? Why is being a Guardian considered more powerful? Why do Guardians consider witchcraft beneath them? 6. On Kat’s first visit to the Golden Hall, why is she defensive and unwilling to accept her inheritance as a Guardian? Why does she eventually change her mind and accept Mr. Gregson’s offer as a tutor? 7. Kat does everything she can to abandon the golden mirror; why does it always comes back to her? Why does Kat want to return the mirror? 8. Kat’s first evening at Grantham Abbey proves to be entertaining and informative. What does she do that causes embarrassment to her family and to her? What does she learn that will later prove helpful? 9. Why does Mr. Gregson’s appearance at Grantham Abbey unsettle Kat? Why is she so untrusting of him? How does he finally prove to her that he is worthy of her trust? How does Lady Fotherington treat Kat, and why? 10. What does Kat learn about her mother from Mr. Gregson? Why doesn’t she share the information with Angeline and Elissa? 11. What is the truth behind Sir Neville’s attitude toward his brother, Mr. Collingwood? What does Mr. Collingwood know about his brother’s affairs that Sir Neville would prefer to keep secret? How is the truth finally exposed? 12. Why does Mr. Collingwood pretend to be a highwayman? What is Kat’s motivation for helping Mr. Collingwood escape from the party? How does her help turn into a hindrance? 13. What does Kat learn about her powers that bring her peace? How does she use these powers to win her sisters their true loves and save her family from ruin? 14. 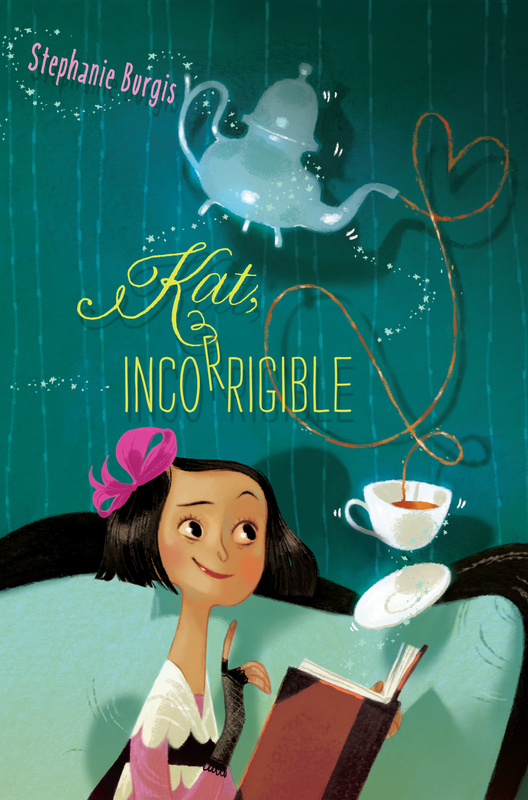 Is Kat really incorrigible? Why or why not? 15. Kat is from 19th Century England. How is she distinct from a modern heroine? 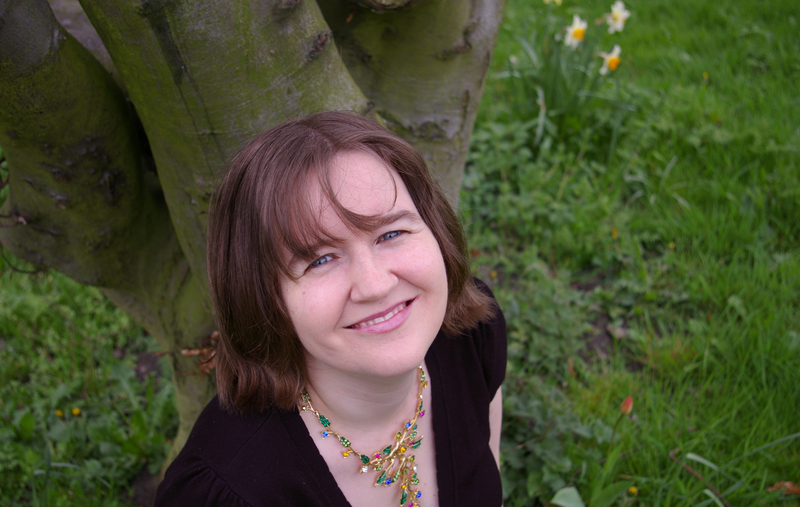 How does author Stephanie Burgis use the Regency Era setting as a backdrop to her unique story? How does she combine elements of history and fantasy? "Regency romance and fantasy adventure all in one, this is a satisfying read and a promising beginning to a trilogy that is sure to be popular with middle school girls."